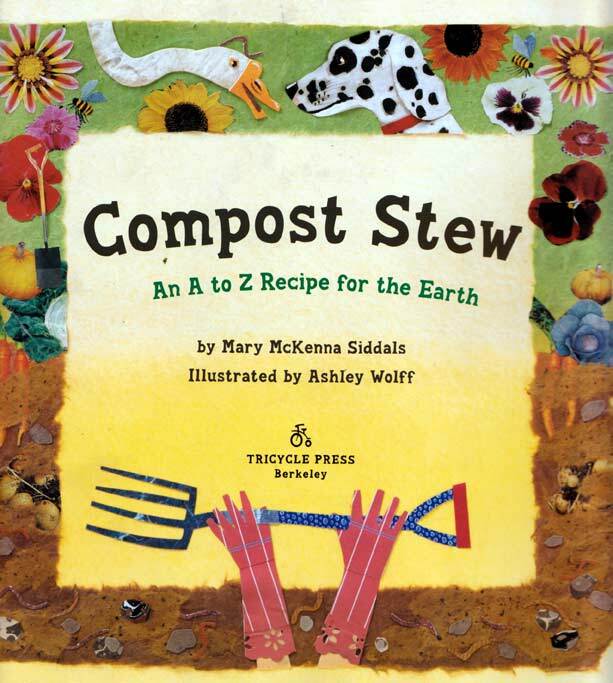 Today we are celebrating Earth Day 2011 with a visit behind the making of Compost Stew: An A-to-Z Recipe for the Earth, by Mary McKenna Siddals, illustrated by Ashley Wolff. It’s the perfect book to share — and not just for its timely ecological theme. The artwork — beautifully composed collages created from recycled materials — really walks the earth-walk with cheer. 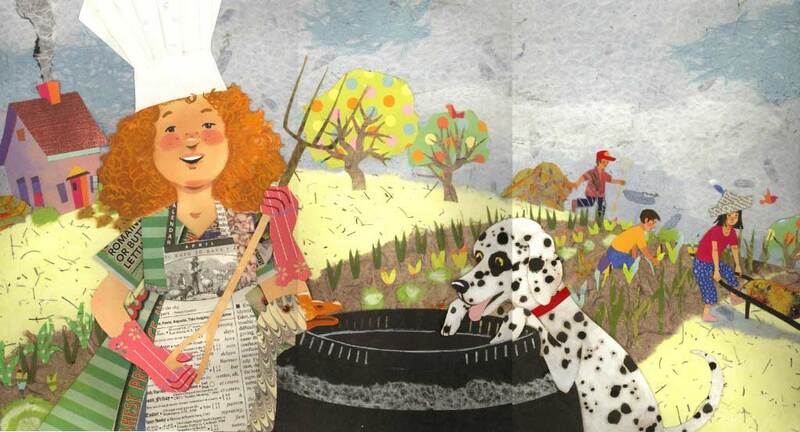 To set the groundwork for a visual narrative, illustrator Ashley Wolff opens with the setting — an outdoor homestead featuring 6 recurring characters (2 girls, 2 boys, a dalmatian, and a goose), all busily enlisted to carry out culling together the ingredients for making compost in a huge caldron-like bin. 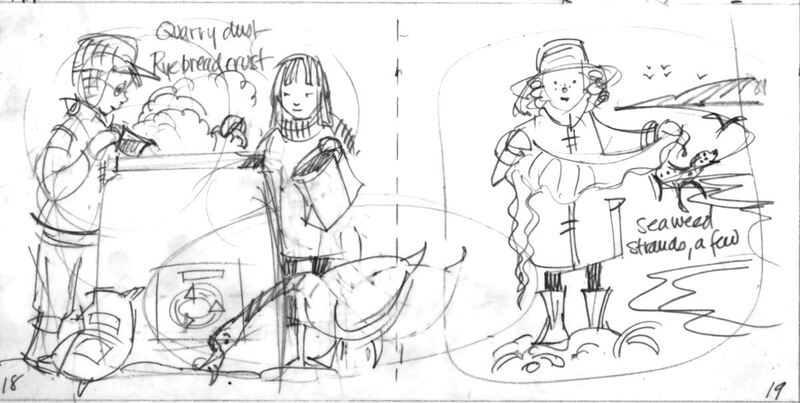 This revised sketch is tighter, with the dog engaged with newly-added goose. You can see all six characters in the final version (below). Make sure to click directly on the image to check out the red-haired girl’s attire. . . .
Here’s the source for the storyline: The real compost stew. 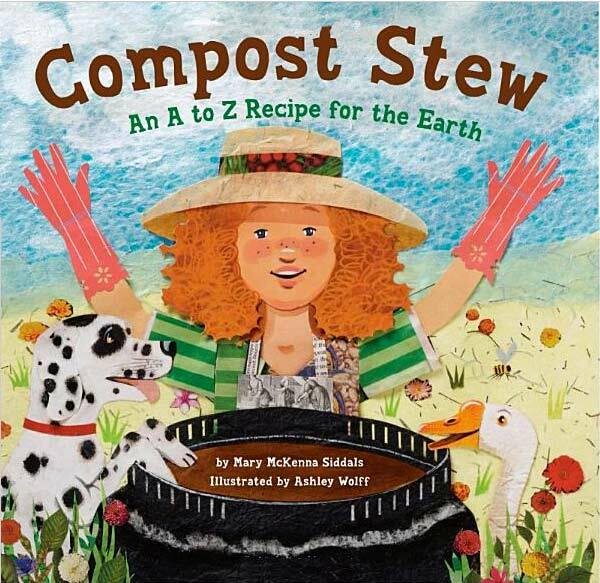 Author Mary McKenna Siddals lively rhyming text instructions for cooking up dark, crumbly, rich, earth-friendly compost begins by calling out ingredients alphabetically. 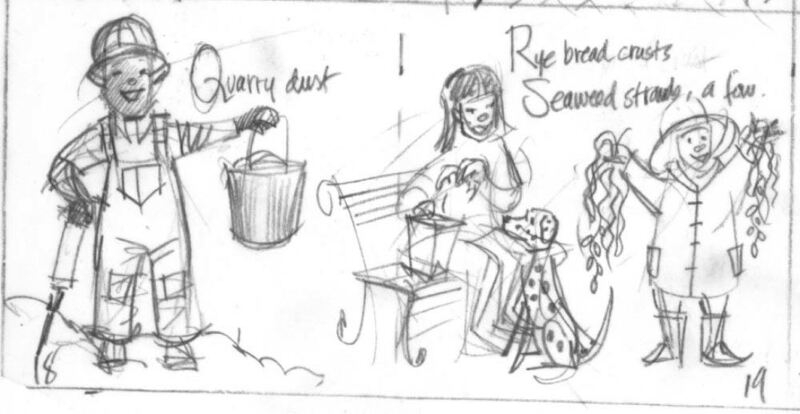 Preliminaries are begun with a thumbnail storyboard. 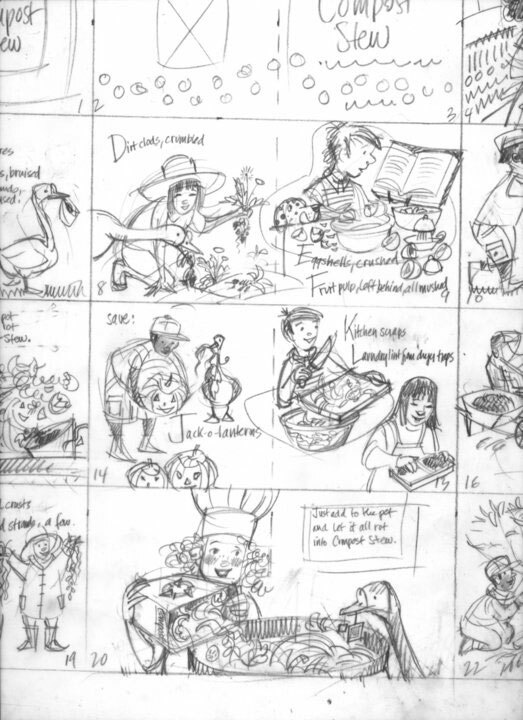 Thumbnail storyboard for "Compost Stew"
Compost is layered. The same goes for assembling recycled papers and other assorted bits and pieces for each character. Here is an early character study. Note customized tailoring of the dress. We follow all 6 characters as they team up on their endeavor. As we get to know them, we look out for them on each page. By the end, they celebrate their success, against the background of a vast vegetable field. 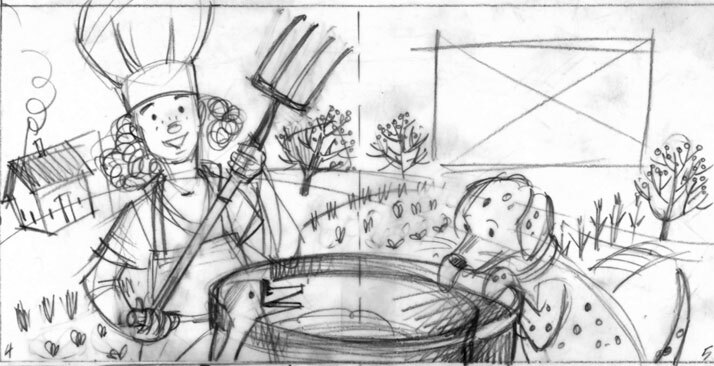 And when they check their compost caldron, it’s filled with rich, crumbly compost, and happily wiggling worms! 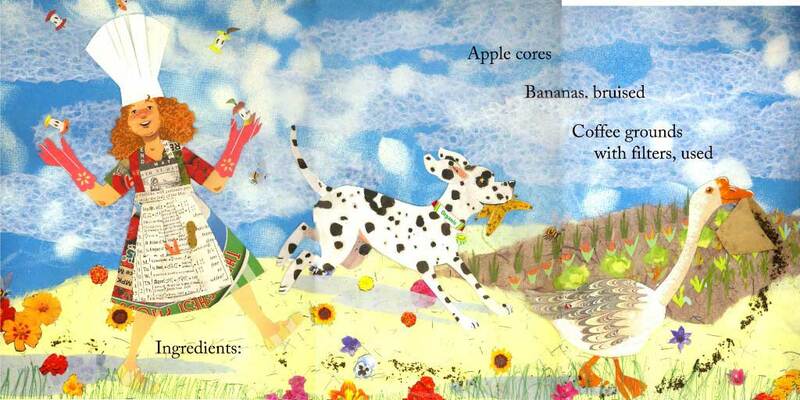 "Apple cores; Bananas, bruised; Coffee grounds with filters, used..."
Check out the dog, writhing in the grass. And the goose — its wings are edged with marbleized paper! It’s clear that Ashley developed an organized system for categorizing her recycled materials by color, texture, pattern — exactly the same way any artist would store their paints. 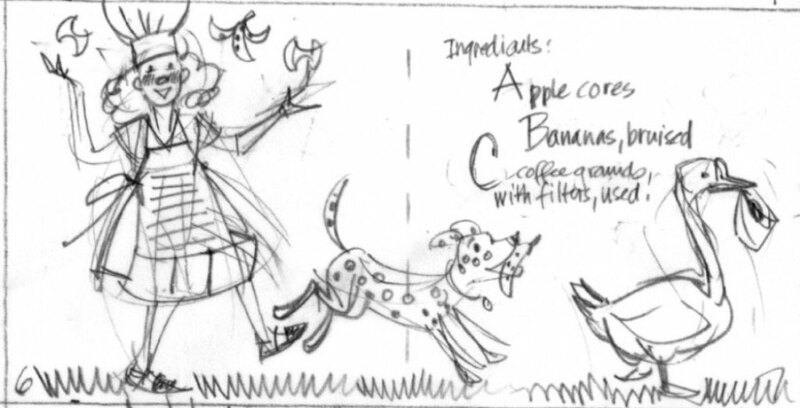 Preliminary sketch for entries "H" and "I"
This would serve her well in maintaining a consistent appearance between each character. For example, the red-headed cover girl wears the same green striped dress and newsprint apron (with dates and type patterns varied in delightful ways) throughout most of the narrative, and the other characters are handled the same way. Final art for entries "H" and "I"
Here’s Ashley hunting down potential art supplies while researching ingredients for Compost Stew. 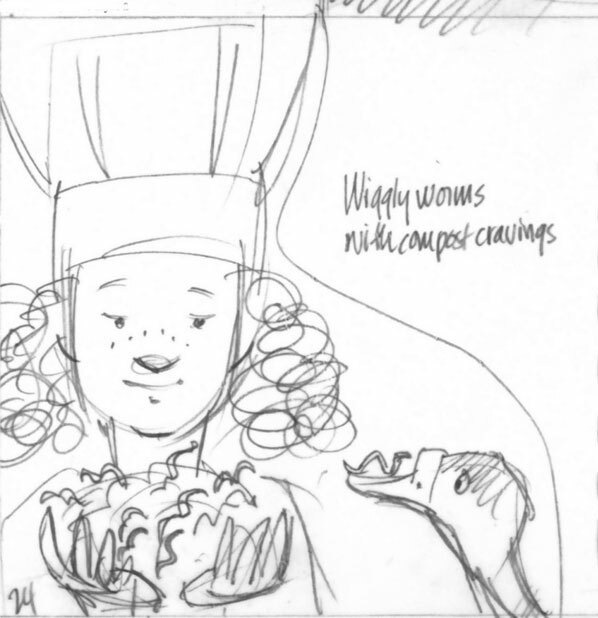 Final art for "Wiggly worms with compost cravings..."
Hmmm. Doesn’t the red-headed heroine look like Ashley? Published by Tricycle Press, Compost Stew came out right at the time the company was subsequently acquired by Random House. While its original acquiring editor, Joanne Meivi Taylor, is no longer on board, the book is gradually gaining traction. 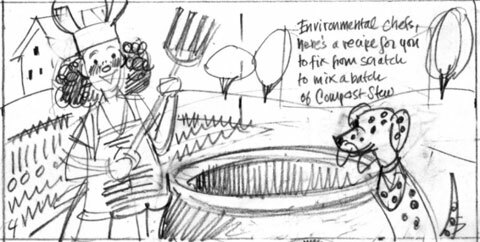 Spread the word to friends and colleagues about composting (and ingenious art creation through recycling) with Compost Stew! This entry was posted in "Compost Stew" by Mary McKenna Siddals & Ashley Wolff, Celebrating Earth Day, 2011, composting as subject, recycling as art medium, Countdown Corner and tagged "An A-to-Z Recipe for the Earth", "Compost Stew", Ashley Wolff, collage from recycled papers, Mary McKenna Siddals, recycled materials as art medium. Bookmark the permalink. I am new to collage but enjoyed it enormously and hope I can find another idea for a story that cries out for collage illustrations very soon. What a beautiful job you did with the illustrations (as always)! Collage in lesser hands would not have looked so sumptuous. I’m ready to head to the beach for seaweed to feed my compost. I hope Compost Stew can overcome it’s marketing challenges and achieve the success it deserves. 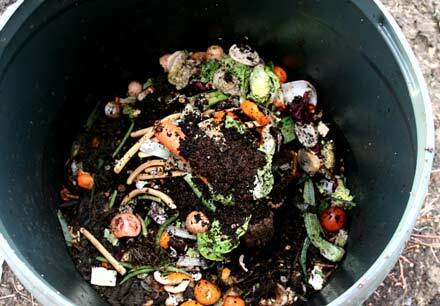 Please spread the word about Compost Stew, everyone! Thank you, everyone, for the praise and interest in Compost Stew. Although it is not strictly a new book, it WAS brand new when its publisher, Tricycle Press, was purchased by Random House and put out of business last year. The excellent editors and designers all lost their jobs. It was a shock to all of us. The beauty of Tricycle Press was that they published small, quirky books that were of great interest to a relatively small audience and then kept them in print and available for a long time. I fear Random House will have no loyalty to a book that it acquired, but did not originate, and is of interest to the gardening, environmental community, but not exactly a birthday party purchase. Compost Stew‘s only hope of survival is to sell a whole bunch of books and get a real toehold in this fickle market. Thank You, Joy, for helping spread the word. Let’s hope it helps give CS a long and useful life. Compost Stew‘s FB page would love it if you made our page more interesting with your compost photos. . You can add them here: https://www.facebook.com/CompostStew. How fitting to view this on my own day to compost! Lovely book. Perhaps the author or illustrator could start a site, something along the lines of “I compost, do you?” and post family’s compost pictures. My pile is nothing special – it’s really just a pile, but it’s always such a joyous affair to see all the wigglies in the dirt when you start digging into it. 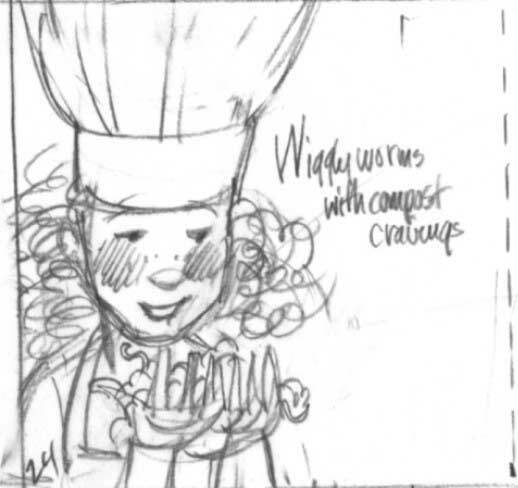 As the author of Compost Stew, I must add how fortunate I feel to have had my text brought to such vivid life with Ashley’s delightful visual interpretation. 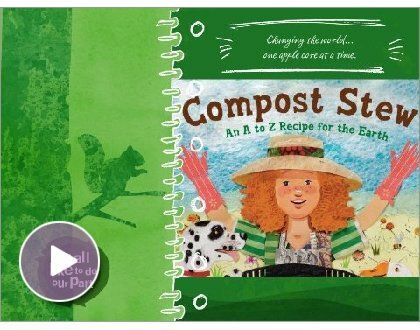 I could never have imagined all the rich detail she brought to Compost Stew, or the ingenious way she linked the ingredients into a story progression. I’m simply thrilled with our finished book, which is indeed the perfect union of text and art. It’s a pleasure meeting you here, Mary! The entire book is a symphony! I can “hear” a chorus of kids, rapping your Compost Stew verse, with added beats from a dog and a goose! Let it brew, Compost Stew! Congratulations on an imaginative and useful work Ashley! Are you posting from China? These illustrations are fantastic. I will definitely be passing this one on to our local “green” groups at the school, as well as several friends. An absolute treasure, both the story and illustrations! 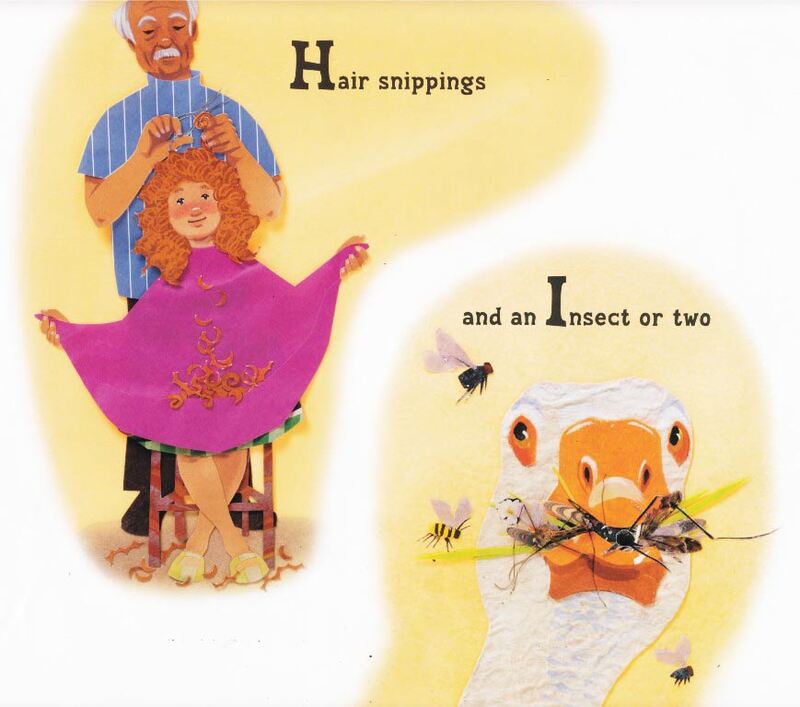 JOY, you chose the perfect book to review for Earth Day! 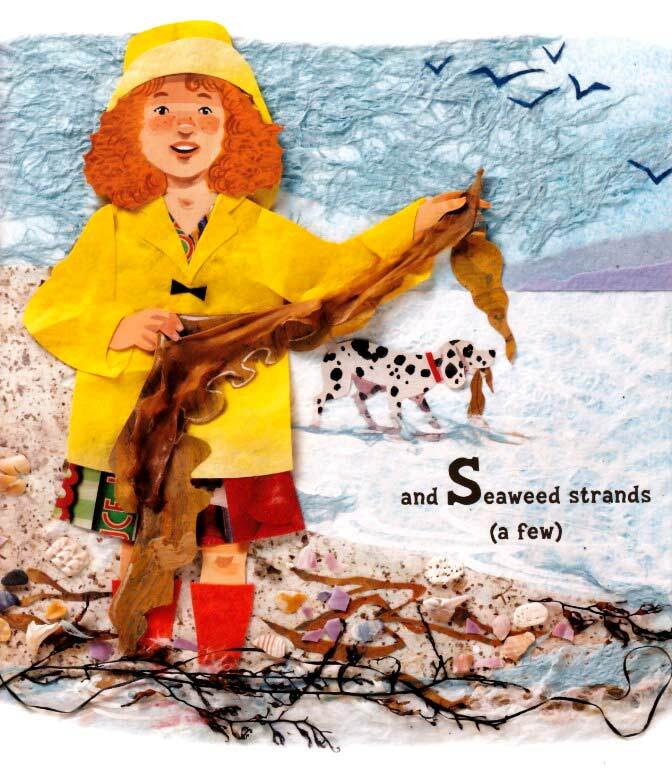 Thank you for discussing the step-by-step process used in the creation of this delightful children’s picture book! 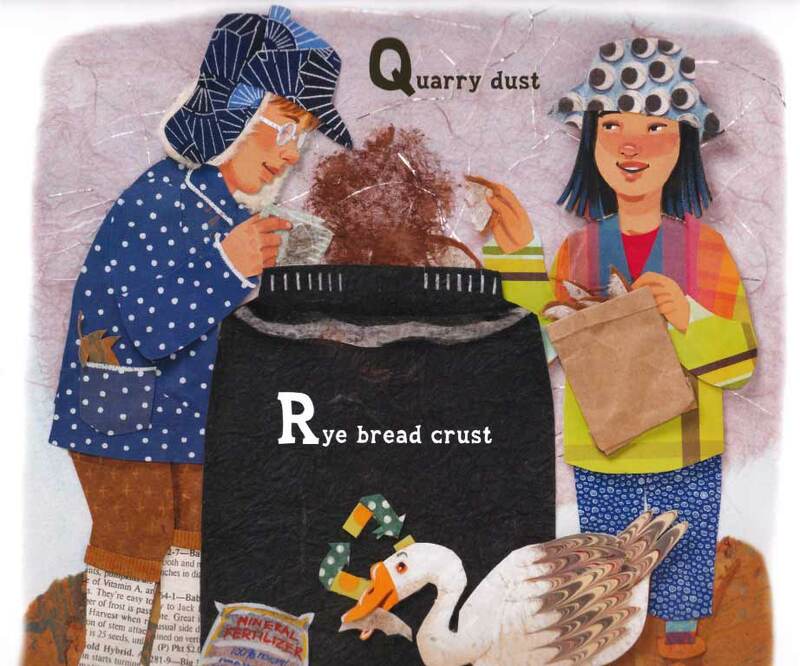 Ashley Wolff, illustrator of COMPOST STEW, originally published by Tricycle Press, provides a delightful study in the medium of collage, and has proven here she is a master of the craft. The techniques highlighted here show us how Ms Wolff worked by establishing character line illustrations, and then embellished them with found 3-D objects to create each picture….fantastic! The underlying story line about recycling is spot-on, and a welcome addition to the book shelf. Kids will love this book because the characters are endearing. Teachers, parents and librarians will love it because it is GREEN. 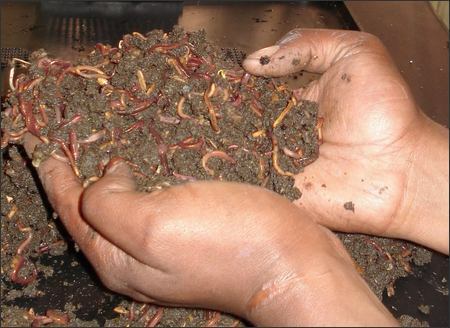 Worms will love it because it is all about them!!! Thanks for visiting, and for the kind words, Laura! Even the endpapers are filled with happy worms, basking amidst the chocolate cake-like compost. It’s always a treat to see Ashley’s process and you’ve done a great job of presenting it, Joy! 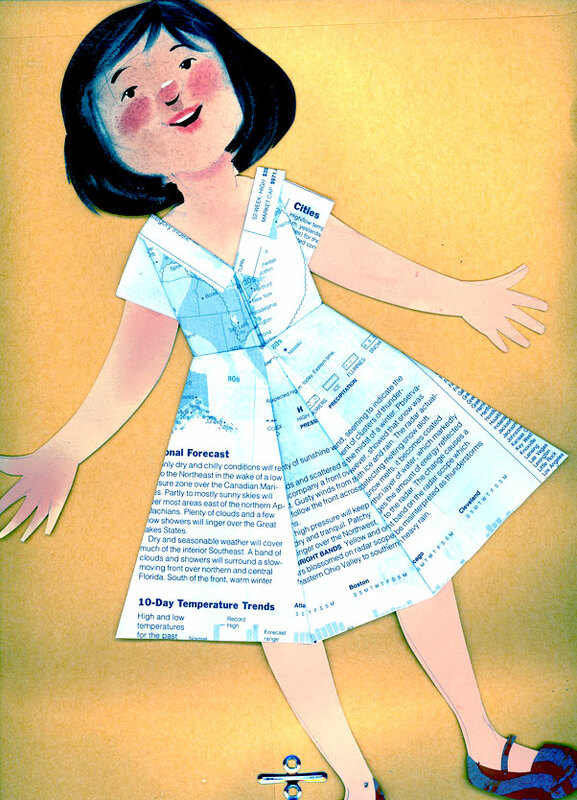 I love it that the illustrations are done in part with recycled materials. So cool! A great book! Hi Anna! Thank you for visiting! Yes, it’s fun to view each other’s creative process. So stimulating! @ Everyone: You can check out Anna’s lovely work here. 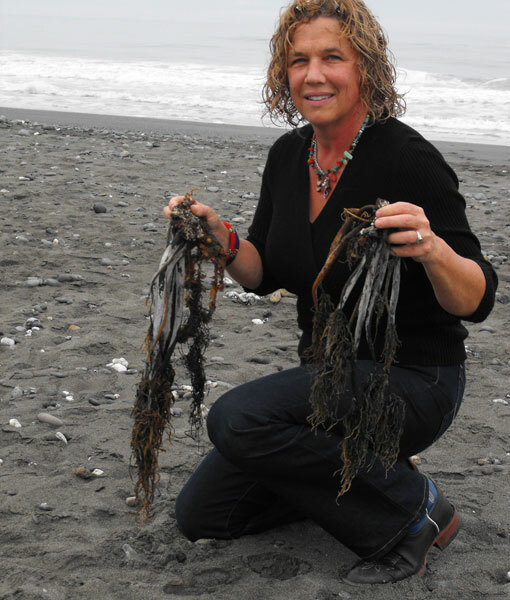 Eggshells, nutshells, and seaweed, oh my! Wow. . . . illustration as conceptual art, changing over the millennium. Makes the final book all the more special, Ashley. I delivered the artwork as flat collages with tissue covers and in a few cases, an additional dimensional frame that kept the tissue cover off the 3-D elements like eggshells, nutshells and seaweed. The artwork was lit and photographed flat by a professional photographer in Berkeley, CA. No glass was laid over it, so the looser pieces of paper cast interesting but not distracting shadows. The artwork is not very archival since there are lots of real elements and newspaper, which will inevitably fade over time. @ Ashley: Gazing at the illustrations, I can see how layering the cut papers and other bits created a 3-dimensional effect. Did you have a professional photographer shoot the final art? Or was the art scanned at a specialty house? At any rate, it had to have been done by a professional. The details are so crisp and clean, and the colors are über-bright! 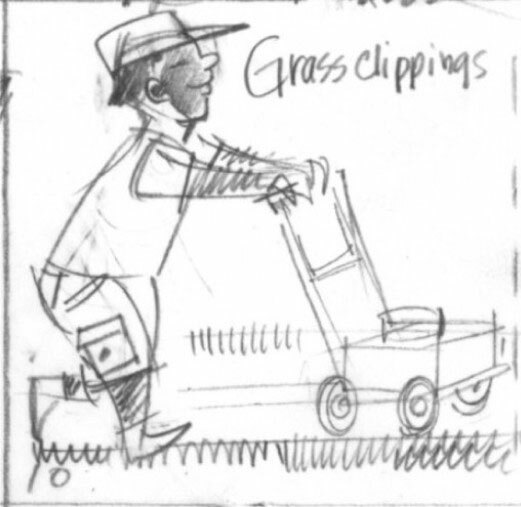 In the hands of an amateur, the images would’ve appeared muddied — like compost! Would you tell us in what form you delivered final art to the publisher & printer? Wow! Thanks for sharing this “behind the scenes” view. 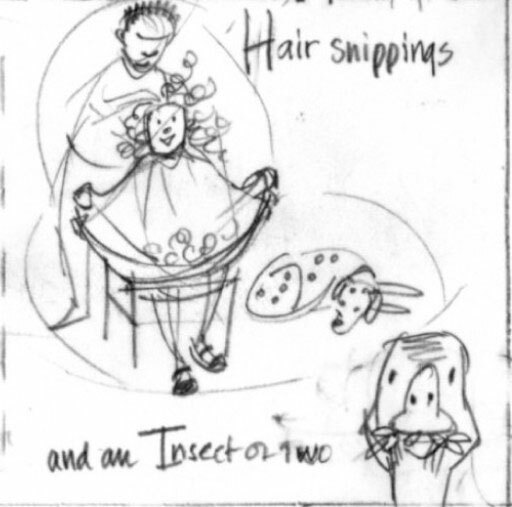 The process of making a picture book is very fascinating. I loved seeing how everything developed. Very cool! Thank you for your kind words, and for visiting here, Eric. I love the theme of your blog, too! Fabulous way to bookmark a birthday while promoting the children’s book cause. Bravo! 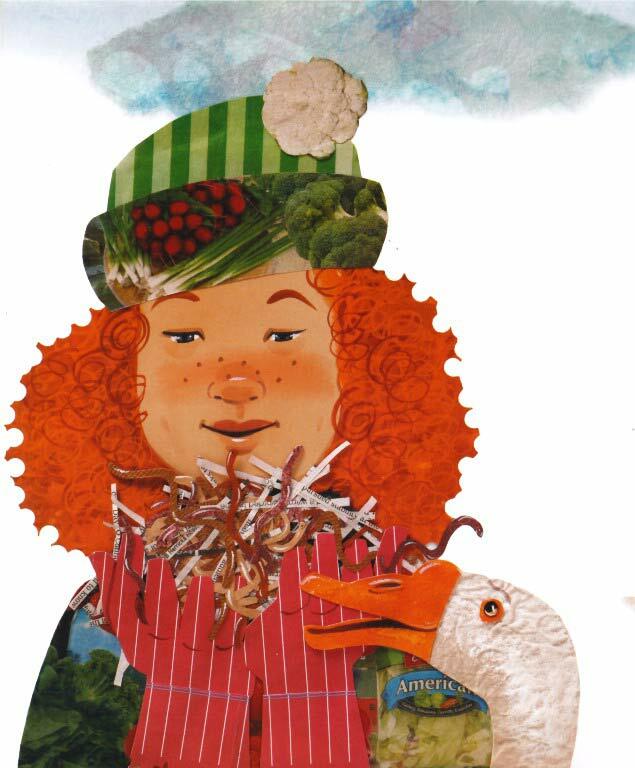 Thank you so much for showcasing the art for Compost Stew. 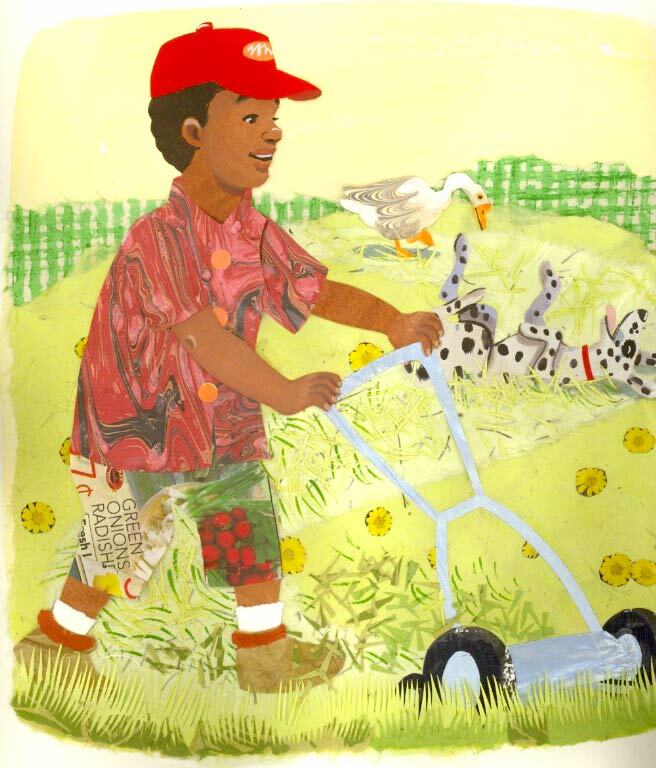 I was feeling down because all the other Earth Day reviews concentrate on the text and treat the illustrations as afterthoughts, whereas, in a picture book, they are equally important and intertwined. Are you kidding? I think the artwork you produced was a herculean feat! You created a parallel storyline that complemented the text without redundancy. I found myself tracking each individual character, curious as to how you’d maintain consistency in their attire. Clever and wittily done. Some of the verbiage found on your recycled papers made me laugh out loud. And their dedicated activities: How each character would interact with one another. And I loved that pair, the dog and the marbleized-winged goose, expressing themselves, while at the same time amplifying the prime directive of the story. You created a great team of kids and creatures, united to enrich both the environment and our understanding of cooperation. You must also have the most organized art studio in the universe.